Johnny Dodds (April 12, 1892 ? 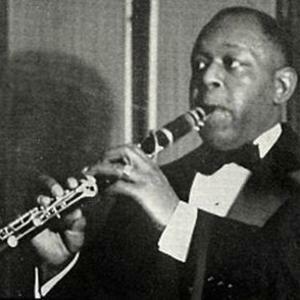 August 8, 1940) was an American jazz clarinetist, and older brother of drummer Baby Dodds. Born in Waveland, Mississippi, he moved to New Orleans in his youth, and studied clarinet with Lorenzo Tio. He played with the bands of Frankie Duson, Kid Ory, and King Oliver. Dodds went to Chicago, played with Oliver's Creole Jazz Band, with which he first recorded in 1923. After break up of Oliver's band in 1924, Dodds replaced Alcide Nunez as the house clarinetist and bandleader of Kelly's Stables. Born in Waveland, Mississippi, he moved to New Orleans in his youth, and studied clarinet with Lorenzo Tio. He played with the bands of Frankie Duson, Kid Ory, and King Oliver. Dodds went to Chicago, played with Oliver's Creole Jazz Band, with which he first recorded in 1923. After break up of Oliver's band in 1924, Dodds replaced Alcide Nunez as the house clarinetist and bandleader of Kelly's Stables. He recorded with numerous small groups in Chicago, most notably Louis Armstrong's Hot 5 and Hot 7, and Jelly Roll Morton's Red Hot Peppers. Dodds was noted for his professionalism and virtuosity as a musician, and his heartfelt heavily blues laden style. He was an important influence on later clarinetists, notably Benny Goodman. Dodds did not record for most of the 1930s, affected by ill health. He died in Chicago in 1940.